All of us love the festival of Christmas. The chilled and snowy weather, long holidays and beautiful decoration all around the city. Whenever we think about Christmas recipes the first thing that comes to our mind is chocolate. In India we make Coconut ladoos for a lot of festivals like Diwali and Holi. 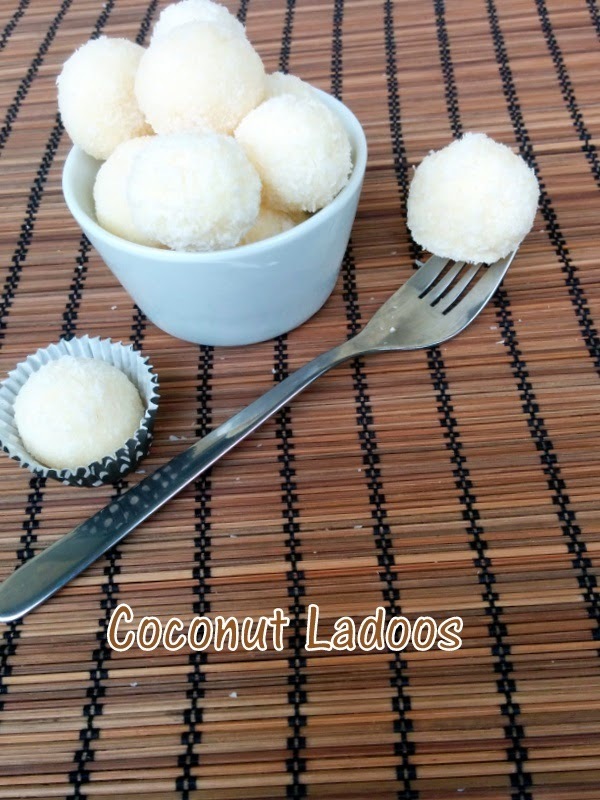 Coconut ladoos are extremely delicious and very quick and easy to make. This Christmas I made coconut ladoos with a little twist to make a perfect no bake fusion desert. I have wrapped the coconut ladoos in a semi sweet dark chocolate sauce. The blend of chocolate and coconut gives a very unique texture and yummy taste to this dessert. Initially I made some chocolate coconut ladoos/balls with milk chocolate, but later I decided to use Dark Chocolate. Dark chocolate gives a nice dark color and also tastes good. There are many types of chocolates available in market, you can see this page to get a better idea about types of chocolate. You can use any chocolate of your choice. Instead of sprinkling coconut you can even make designs with white chocolate on the chocolate coconut ladoos. 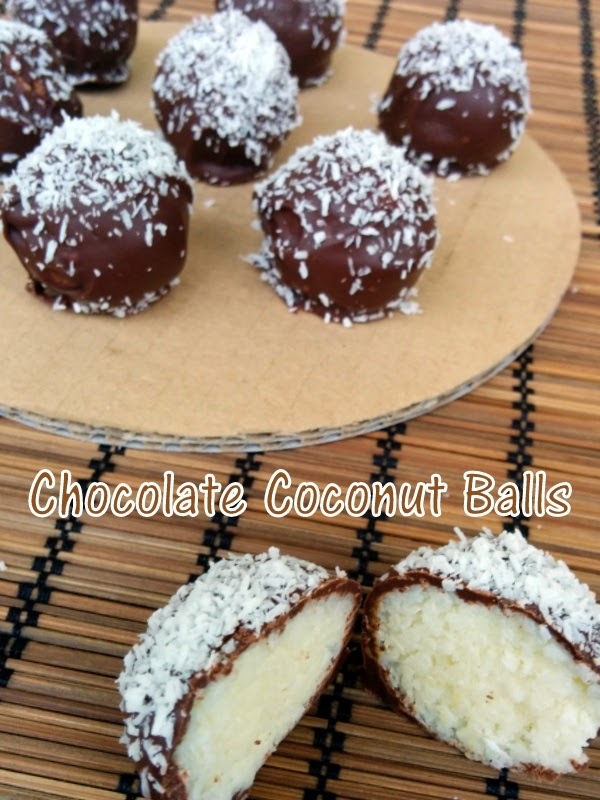 These chocolate coconut balls are made with desiccated coconut, you can even use the fresh coconut. These balls are just made with three ingredients condensed milk, desiccated coconut and semi sweet dark chocolate. I have made these ladoos with condensed milk, however you can make it with sugar syrup also. Mix both the ingredients well and cook on a low flame for 4-5 minutes till the mixture leaves sides of the pan. Now to make our fusion desert for Christmas, break the dark chocolate bar into pieces in a glass bowl. Place that bowl over boiling water. When the chocolate has melted half way through. Switch of the stove. Our no bake simple and quick fusion dessert is ready. Place the Chocolate Coconut Ladoos in muffin liners. As its easy for gift packing as well as serving. You can even boil the chocolate in double boiler or microwave.